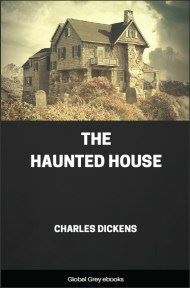 The Haunted House is a story published in 1859 for the weekly periodical 'All the Year Round'. 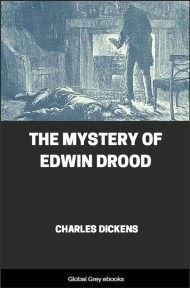 It was "Conducted by Charles Dickens", with contributions from other writers. 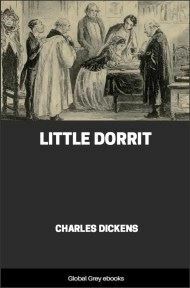 It is a "portmanteau" story, with Dickens writing the opening and closing stories, framing stories by Dickens himself and five other authors: The Mortals in the House (Charles Dickens); The Ghost in the Clock Room (Hesba Stretton); The Ghost in the Double Room (George Augustus Sala); The Ghost in the Picture Room (Adelaide Anne Procter); The Ghost in the Cupboard Room (Wilkie Collins); The Ghost in Master B's Room (Charles Dickens); The Ghost in the Garden Room (Elizabeth Gaskell); and, The Ghost in the Corner Room (Charles Dickens). Under none of the accredited ghostly circumstances, and environed by none of the conventional ghostly surroundings, did I first make acquaintance with the house which is the subject of this Christmas piece. I saw it in the daylight, with the sun upon it. There was no wind, no rain, no lightning, no thunder, no awful or unwonted circumstance, of any kind, to heighten its effect. More than that: I had come to it direct from a railway station: it was not more than a mile distant from the railway station; and, as I stood outside the house, looking back upon the way I had come, I could see the goods train running smoothly along the embankment in the valley. I will not say that everything was utterly commonplace, because I doubt if anything can be that, except to utterly commonplace people — and there my vanity steps in; but, I will take it on myself to say that anybody might see the house as I saw it, any fine autumn morning. I was travelling towards London out of the North, intending to stop by the way, to look at the house. My health required a temporary residence in the country; and a friend of mine who knew that, and who had happened to drive past the house, had written to me to suggest it as a likely place. I had got into the train at midnight, and had fallen asleep, and had woke up and had sat looking out of window at the brilliant Northern Lights in the sky, and had fallen asleep again, and had woke up again to find the night gone, with the usual discontented conviction on me that I hadn’t been to sleep at all; — upon which question, in the first imbecility of that condition, I am ashamed to believe that I would have done wager by battle with the man who sat opposite me. That opposite man had had, through the night — as that opposite man always has — several legs too many, and all of them too long. In addition to this unreasonable conduct (which was only to be expected of him), he had had a pencil and a pocket-book, and had been perpetually listening and taking notes. 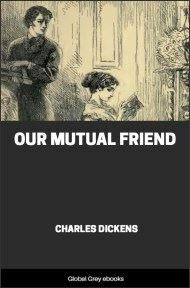 It had appeared to me that these aggravating notes related to the jolts and bumps of the carriage, and I should have resigned myself to his taking them, under a general supposition that he was in the civil-engineering way of life, if he had not sat staring straight over my head whenever he listened. 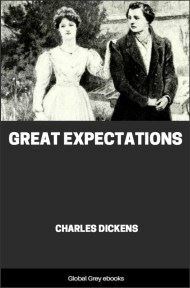 He was a goggle-eyed gentleman of a perplexed aspect, and his demeanour became unbearable. “I BEG your pardon, sir, but do you observe anything particular in me”? For, really, he appeared to be taking down, either my travelling-cap or my hair, with a minuteness that was a liberty. “B, sir?” said I, growing warm. At first I was alarmed, for an Express lunatic and no communication with the guard, is a serious position. The thought came to my relief that the gentleman might be what is popularly called a Rapper: one of a sect for (some of) whom I have the highest respect, but whom I don’t believe in. I was going to ask him the question, when he took the bread out of my mouth. “O!” said I, somewhat snappishly. “New from spirits,” returned the gentleman. I could only repeat my rather snappish “O!” and ask if I might be favoured with the last communication. “It came to me, Bosh,” returned the gentleman.